SBS has pushed Homeland to a later timeslot from next week. It will now screen at 10:55pm Friday instead of 8:30pm. In its place is the 2005 movie Syriana. The move is due to ratings, with the last episode at just 62,000. Unless there’s something better for the timeslot I’m not sure why the SBS would reduce Homeland’s audience further especially when the season is coming to a close, but there is SBS On Demand if you can get it. 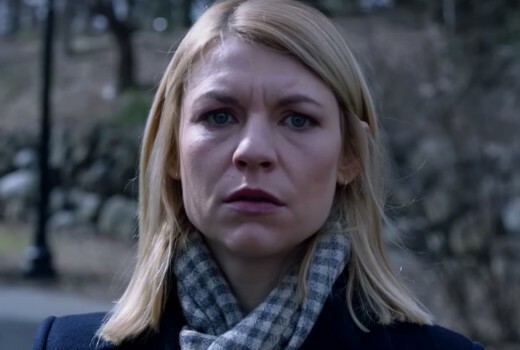 Homeland has lost some of its credibility with Peter Quinn’s demise, a complete revamp was in order but as it’s Claire Danes show that was never going to happen, perhaps the Homeland producers should take note of British spy shows who are less precious with their main character actors and keep the topics current and interesting with just enough of a twist in the end. You know you’re doing badly when even SBS bumps you! Worth noting that the later start time for ‘Homeland’ will vary with the length of the film before it-watch your guides! When was the last time SBS proactively bumped something because of ratings? And it’s Friday, it’s not exactly a key night for audience maximisation. Agree – very disappointing given it’s being replaced by a 13 year old movie. I hope they don’t do the same to The Good Fight on Wednesdays. Been watching since the beginning, and still one of my favs. Yes its a shame it doesn’t have a bigger audience. Won’t worry me much, I always watch it on On Demand anyway. We’ve stayed with it since the early days – find some plot threads a little beyond the ken but overall it’s still enjoyable. Thanks for the heads up – will adjust recorder this morning. I’m still watching. Not the peak of seasons, but still solid. Last week’s episode finished with a punch. It’s a shame Homeland, in Australia, hasn’t had the audience I believe it deserves. I find the storylines have a “ripped from the pages” feel about them. Most US shows now don’t find an “audience” in Australia. Too many other ways to watch them that are better quality, more reliable and don’t require you to wait or find shows at obscure times on different nights. I noticed last night when i was watching the “news” for bush fire updates that even Young Sheldon which rated well has now been pulled from the schedule and will move nights when it returns in 3 weeks. Seriously, what sort of programming is that. Really enjoying Homeland this year. With the exception of a handful of episodes a few seasons back, the show has generally been great. Why take a good rating show off for a few weeks and then bring it back on another night. Australian TV is the worst.